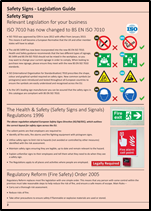 Our new 2018 Health and Safety Signs catalogue is now available both as a paper copy or a web-based version! 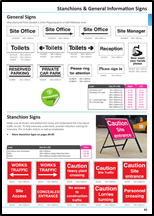 We are pleased to let you know we now have a web-based version of our popular Health and Safety Signs catalogue! Some new symbols have been introduced recently so now is a good time to have a quick walk around your premises to check if your signage is up to date. Take a view through the eyes of a visitor: are your exit routes clearly marked? Could you find your way out if you were new to the building? Our new web catalogue makes ordering the correct signage easier than ever, and you still get the same great service! Clearly laid out, with relevant advice on legislation and clear pricing, you’ll be able to order signs in just a couple of clicks.